Mahjong City Tours = Classic Mahjong + new puzzles + explore the world&apos;s best cities!If you love puzzle, strategy, memory, and brain training challenges, you’ll love Mah-jong!The innovative new version of Mahjong Solitaire. Explore the world&apos;s best cities as you tackle challenging p... see more Mahjong City Tours = Classic Mahjong + new puzzles + explore the world&apos;s best cities! If you love puzzle, strategy, memory, and brain training challenges, you’ll love Mah-jong! The innovative new version of Mahjong Solitaire. Explore the world&apos;s best cities as you tackle challenging puzzles. Power-ups and obstacles provide an unexpected twist to every level. Play and relax! ▶ Stunning graphics and unique Mahjong gameplay. ▶ Go on a treasure quest for the best souveniers! ▶ Win huge prizes in the weekly tournaments! ▶ New goals, power-ups, and obstacles give Mahjongg a whole new twist! 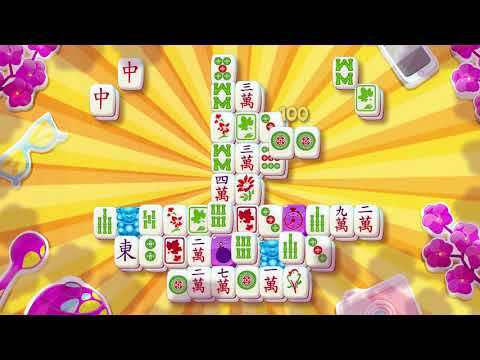 ▶ Play with friends and other city travelers and enjoy your Mahjong journey together! ▶ Great fit for players who love games like jigsaw puzzles, mayong, word search, solitaire, match-3 and other ‘smart games’. ▶ A fantastic journey with over 1000+ levels! ▶ Get your own collection of beautiful tile sets for endless matching fun! ▶ Supports offline play on your own long flights and trips. ▶ Playing with others does not require Facebook Login! ▶ Free with regular updates! Mahjong City Tours will keep you guessing - and matching - forever!